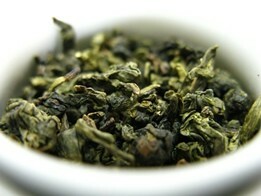 Oolong tea benefits list it as a top slimming tea. Mainly known as one of the diet teas, this Chinese wonder has much to offer. The benefits of Oolong tea are tremendous – from blocking fat absorption to fighting cancerous cells. This 400 year old tea will also dazzle you with its brownish colour and sweet woody flavour. 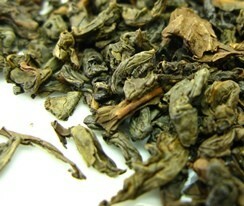 Oolong tea (Wu-long Tea) combines the best characteristics of green tea and black tea. Like these, it comes from the tea plant Camellia Sinensis, but it differs from others due to the the way it is processed. It is a semi-fermented tea that presents you with a wide range of possibilities according to the percentage of fermentation it undergoes. If you wish to learn more about this tea, satisfy your curiosity with a look at What is Oolong Tea? or read further and get to know the health benefits this delicate tea may give you when taken on a daily basis. So let’s find out what the Oolong tea benefits are. This tea has the highest saturation of polyphenols, which increases your metabolism and helps you burn fat faster. Here’s an interesting thing about this tea – its high content of polyphenols produce a fantastic enzyme that dissolves triglyceride. Triglycerides are not just bad, since they provides energy. However, if your body absorbs too much, fat tissues will form and consequently lead to obesity. Be aware that Oolong tea won’t work just by itself. You should combine it with a proper healthy diet and physical exercise. Drinking it will help to accelerate your metabolism, so if you practise exercise, it will help you burn more calories at a faster rate. Here’s a tip: Try drinking this tea before your meals and it may help you reduce the fattening effects, especially if your meal is high in carbohydrates. This wonder drink has the ability to fight free radicals due its high content of antioxidants. Free radicals, as you may know, are dangerous substances that can cause serious illnesses, particularly in the area of cell damaging. One of the amazing Oolong Tea benefits is that it promotes healthier skin by slowing down the aging process, which means less wrinkles and skin spots. 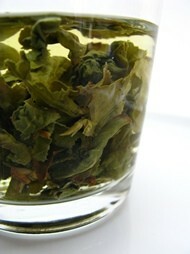 Start enjoying the benefits of oolong tea and have a look at the mirror and see the changes happening, as time goes by. You will feel and look fresh and healthy. Yes, you can smile again. No need to be ashamed or embarrassed. Antibacterial properties in Oolong tea prevent tooth decay, inhibit the growth of plaque and eliminate the bacteria responsible for bad breath. Great, isn’t it? One of the most important Oolong tea benefits is its ability to prevent cancer. As it was mentioned before, this tea holds high amounts of antioxidants, namely polyphenols and catechins. These stunning fighters inhibit the growth of cancer cells, caused by free radicals. Whether you are drinking Oolong, green, black or white tea, they all contain these powerful allies that help you fight cancer, so keep this in mind and enjoy your tea while it works wonders for your mind and body. The Oolong tea benefits don’t stop here. These were the most important, but there is much more to this beverage. Oolong tea can show you a different world of taste and pleasure and still protect you. It improves digestion by dissolving excess acidity. It prevents heart ailments by reducing cholesterol and strengthening the immune system. Oolong tea enhances your focus due to its caffeine content, thus improving cerebral function. This semi-fermented tea offers us so many health benefits, but what about its side effects, well let's take a look. The main possible side effects oolong tea may have is related to its caffeine content. Yes, caffeine has many positive effects, like enhancing your awareness and mental state, but if you overdo it, you may suffer from sleep disorders, irritability, insulin resistance, anxiety and headaches. If you are pregnant or breastfeeding you should limit your caffeine intake to 300mg per day, because it may increase the risk of miscarriage, intrauterine growth retardation, low birth weight, birth defects, insomnia, tremors and heart palpitations. Please consult your physician and find out what is the right amount and tea for you during your pregnancy. We want to protect you and your newborn all the way. 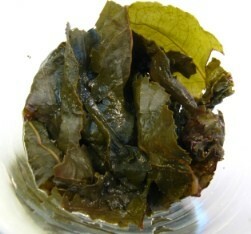 To get the best of the Oolong tea benefits, you must prepare the perfect cup. So get your mug and kettle ready because we are about to plunge into this wonderful adventure. 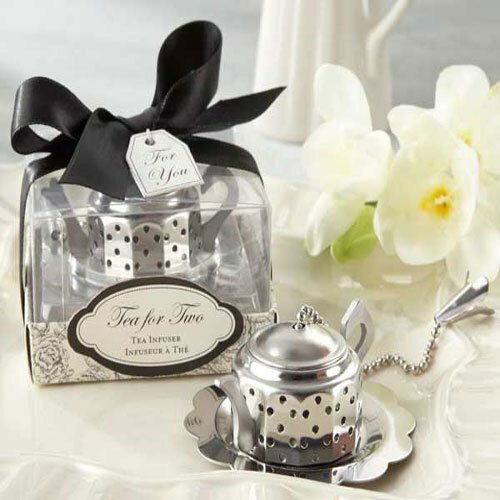 As you may know, the pleasure of enjoying tea starts when you brew it. Looking at the leaves dancing and unfolding in the water and smelling their fresh and woody aroma is just the beginning. Let’s look at some important tips on how to brew your perfect cup of oolong tea. To get the most out of your tea, please use natural spring water to avoid any water impurities that may alter the taste of your tea. You want to savour every little sip of you beverage, so prepare it with caution. This is another crucial part, 85ºC - 90ºC (185ºF – 194ºF) is the temperature recommended and the steeping time should be between 3 to 5 minutes. You may not get it at the first time, but don’t worry, keep trying till you find your perfect temperature and steeping time. 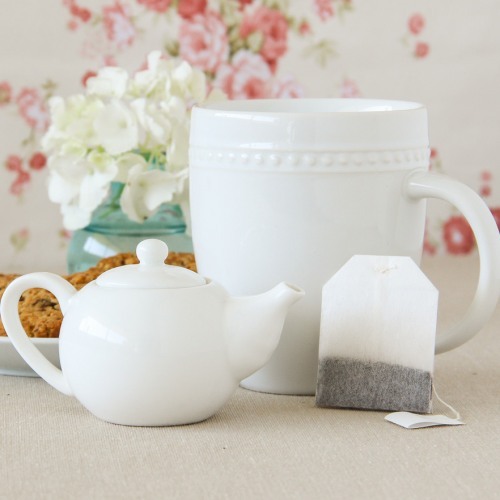 Here’s a tip: Don’t add sugar or milk, because it will completely change its taste and reduce the oolong tea benefits. Enjoy it pure and simple. Use loose leaves to better understand the beauty of this tea and savour its flowery flavour. Relax and take a sip. Smell it, close your eyes and feel its wonderul aroma. Amazing, isn’t it? Buy Your Oolong Tea Today! Click on the image or on the link below to purchase from Art of Tea your Oolong tea. 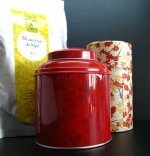 You will find a large collection of oolong teas: from pure oolong teas to floral blends. Taste each tea and enjoy the benefits of all oolong teas. Buy your oolong tea here!